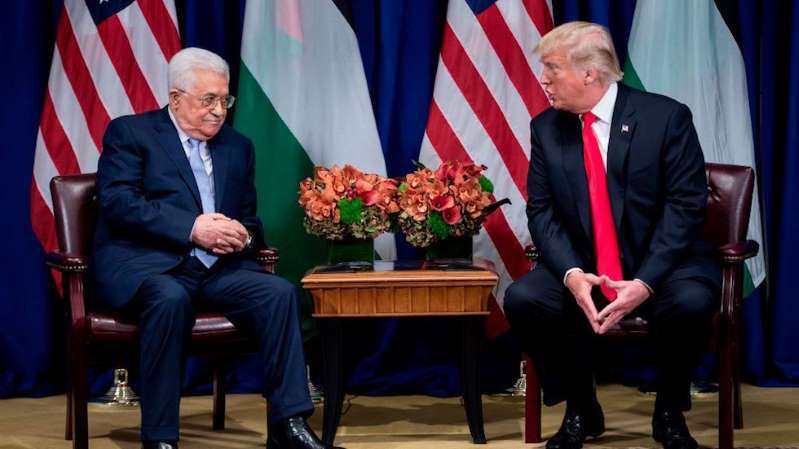 Palestinian President Mahmoud Abbas on Sunday said President Trump's team offered him a peace plan that would involve forming a Palestinian-Jordanian confederation, according to Haaretz. Abbas told Israeli lawmakers he will reject the plan until Israel is part of the proposed confederation, according to the report. "I was asked if I believe in a federation with Jordan," Abbas reportedly told left-wing activists and lawmakers in Israel. "I answered: Yes, I want a confederation with Jordan and Israel. I have asked the Israelis if they would agree to such an offer." Abbas cut ties with the White House after President Trump moved the U.S. embassy in Israel to Jerusalem, a move widely regarded by Palestinians as a reversal of international law that gave them partial ownership of the city. But he has continued to express willingness to engage in peace talks that involve the U.S.
A Palestinian delegation of security and intelligence officials is currently in Washington, D.C., to meet with the CIA, according to Axios. During the Sunday meeting, Abbas reportedly said he was willing to include a land-swap agreement in any peace plan with Israel, but did not give further details, Haaretz reported. The meeting between Abbas and the White House team comes after the State Department on Friday announced it would stop funding the U.N. Relief and Works Agency (UNRWA), a body that provides aid to Palestinian refugees. The Palestinian president, after a meeting with White House senior adviser Jared Kushner and Middle East envoy Jason Greenblatt, added the U.S. is "hostile towards the Palestinians and closing down the peace process," Haaretz reported. Though Kushner and Greenblatt have been tasked with creating a peace plan for the Israelis and Palestinians, they have not announced when it will be revealed.